Marcinkiewicz French Horn Mouthpieces are of a unique design, and are played by some of the most discerning horn players. Any brass musical instrument will respond better and produce better tone when it is used with a mouthpiece that best fits the horn and the player. 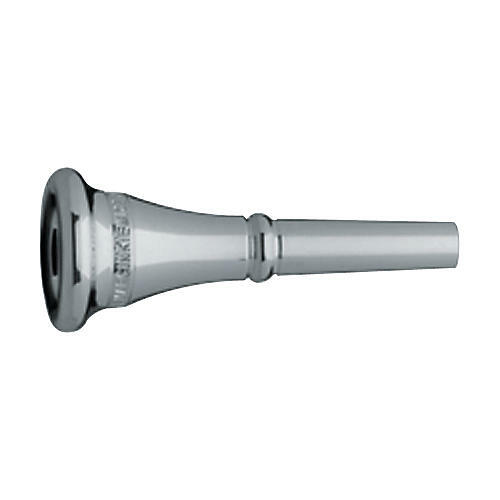 The Standard Series mouthpieces are arranged in a logical ascending order from deep to shallow and wide to narrow. This arrangement permits players to select mouthpieces by precise increments of depth to find the correct cup volume required by their situation.These are some of the finest mouthpieces made in the world today and stand-alone as such. The Marcinkiewicz goal is to offer players the best quality mouthpiece at each and every stage of their growth: first as a student and throughout their career as a professional musician. Because the facial structure of young students changes as they mature, Marcinkiewicz mouthpieces are carefully sized in logical, gradual increments. This allows students to progress more quickly and comfortably as they find the correct fit for their changing anatomy. As rim size does not directly correspond to cup depth, please observe inside cup diameter for finding optimal response. Marcinkiewicz does not offer copies of other brands in this series, but similar items using our own designs. The comparisons are given for casual references only.